What and Who Is Amy Marietta? 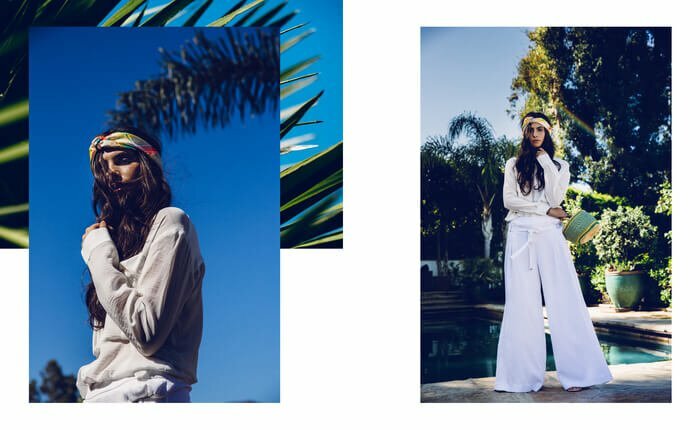 My name is Amy Nicole Marietta and this is a visual journal of my travels, personal style, love for culture, passion for music, and overall lifestyle. I aspire to inspire people to live their lives to the fullest and experience as much as possible, to chase their dreams, and to make a positive impact. I started blogging about fashion, my personal style, and moving to NYC from LA in 2010 while interning at a fashion PR company. Over the years my blog and other social media outlets have evolved into more of a lifestyle platform vibe where I share my daily inspirations and projects with brands that I’m so grateful to work with. I’ve made it my mission to avoid the 9-5 job. After 5 years of hustling in New York City, and 1 year in Miami working corporate marketing & social media, I now spend most of my time in LA or traveling. I’m not one for titles, but if I had to describe what I do on a daily basis, I am a content creator (co-founder of Club Collective), creative director, brand owner (A.M. Club), lifestyle blogger, brand and social media consultant, stylist, and journalist. I spend my time coordinating strategic partnerships, creating visual content for companies, and working on my silk scarf line – A.M. Club. In 2016, I founded A.M. Club which is a silk line that produces exclusive, high-quality silk pieces with a unique story. Each design has a purpose, and the pieces are crafted from the finest raw materials in the world. We give back to various nonprofits I am passionate about and also give back to creatives. I am also a brand ambassador for The Council For Fashion And Social Change. CFSC is a non-profit organization that is focused on changing social impact through fashion and design activities. As a journalist, I have contributed to publications including Elite Daily, L’Officiel Italia, Nylon Singapore and Global Grind. I’ve produced events, created video content and curated photos for the social media properties of major lifestyle and fashion brands including Disaronno, Dolce & Gabbana and Rescue Skin. As a travel, fashion, and lifestyle blogger (or content creator) I have had the opportunity of working with Estee Lauder, Macy’s, Nordstrom, Jaguar, Almay, Adidas, Primark, Square Cash, Simon Malls, Gov Ball, Lyft, Harrods, and Starwood Hotels. And as a fashion influencer, I’ve had the opportunity of working with and being featured in major publications including Cosmopolitan, Huffington Post, Metro News, L’Officiel Italia, Glamour, GQ, Refinery 29, New York Times and Elle. Collectively, I have over 1,000,000 followers and my social media outlets receive millions of impressions per month from over 130 countries around the world. I’d love to connect with you – email and the internet are awesome – so email me for my media kit, rate sheet or to just say hello. I love meeting new people and surrounding myself with inspiring souls who have passion – and I know the world is full of you, so don’t be shy.